Looks like your home has a big garden in it and you want to make it a garden full of beautiful flowers and other plants. However, you do not know from where to begin. Well, this guide will tell how you can turn your plain garden into a one that looks so much exotic that everyone in your family, friends circle and neighborhood will appreciate. 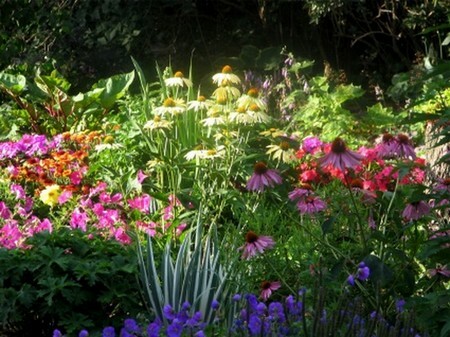 You cannot just plant any flower or plant species in your garden that you really like. The first thing you have to consider is the environment surrounding your garden. The size of your garden, its shape, the climate of your area and most important how much sunlight your garden gets. Which areas get the most sunlight? Which get partial? And which get rare sunlight? Then accordingly plant your flowers. This is really important. After that, you have to research on the flower plants that you can grow in your garden. The soil that your garden contains should also be fertile if it is barren then you will have to place potted plants. Different flower plants need different soils like some need loamy soil, some clay soil and some dry soil. If you find it difficult to remember the key points of designing a garden then you should write down everything on the piece of paper so that it is easier to remember every aspect of the design. Another great idea is to make sketches and directions on the paper for remembrance. If the size of your garden is small then you should opt for aerial flowers that can be hung on the walls of your garden because that will give it a pleasant look. There are different species of plants that do not require much space so for example roses or sunflowers, etc you can place them in your garden. It is not necessary that you call any experts to design your garden you can do it on your own and save money. Besides that it is a fun activity, you just need to have the right knowledge. Flowers fall into three categories and their names are Biennials, Perennials and Annuals. You should note that flowers do not last very long and wither off after completing their life cycle. Biennials have the life cycle that lasts for two years. First they grow then give fruits or seeds and then die. The example of this type of flower plant is parsley. Perennials survive for about three years and even more. They are summer flowers and they wither off during winters because the temperature becomes unbearable for them to grow properly. They grow back again during warmer climate. The last type is the annuals they have the shortest lifespan that is up to only a year. Annuals grow in the spring or summer season. 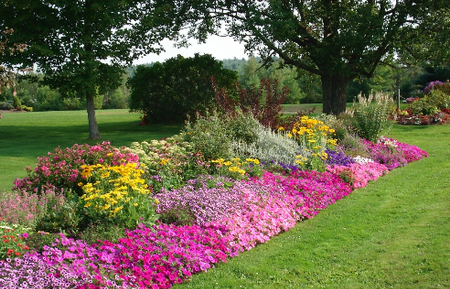 The examples of annuals are impatiens and petunias. It depends on you that how much time you can give to your garden then choose the type of flowers to plant accordingly so that you do not make any decisions that you regret later on. Only consider designing a garden if you are sure that your will maintain it properly. The instant you will stop taking care of your flowers and plants your garden will be destroyed. You will have to provide your plants with water from time to time. You will have to apply fertilizers in the soil and if any plant has got disease then you will have to provide it with medicines. After all, plants are living creatures and they require the same level of attention as humans require. If will be wise for you if you take assistance from a gardener if your schedule is very busy and you only get little time to serve your garden. Nevertheless, garden is actually a blessing in disguise because whenever you will look at it and visit it you will get a really good and peaceful feeling. Nature has the greatest tendency to recover a spoilt mood or change adverse feelings. Moreover, walking around your garden, looking and breathing beside your plants and flowers in the morning is really beneficial for your health and you must do it often.